Southeast Florida Association for Psychoanalytic Psychology - Quarreling with Culture: The Value of Discontent-Clinical Implications- Presented by: Don Greif, Ph.D.
Quarreling with Culture: The Value of Discontent-Clinical Implications- Presented by: Don Greif, Ph.D.
Everyone who registers for the conference will receive a free copy of Dr. Grief's paper "Quarreling with Culture: The Value of Discontent-Clinical Implications" that is optional to read prior to the event. Sigmund Freud was torn about civilization— indeed, he was one of “its discontents,” the term he used in the title of his influential work, Civilization and its Discontents. According to Lionel Trilling, Freud had a “quarrel with culture.” Though he recognized that “greater security and union with other people” i.e., belonging, is an advantage of civilization, in Trilling’s view, Freud also sought to establish a place for the self to stand apart from culture. Although he was unable to find a place for the resistant, quarrelsome self within his theory of normal development, Freud understood--at least in a nascent, unformulated way--that there is a normative part of the self that has an adverse relationship with culture. Yet the centrality and significance of this dimension of the self and its struggle with culture has largely eluded the grasp of psychoanalysts. An accumulating body of knowledge within psychoanalysis (from a wide array of relational theories), along with contemporary evolutionary biological perspectives and Trilling’s insights, helps us see that the relationship between the self and culture involves an ongoing negotiation between two deeply rooted longings. Simply put, human beings want to be a part of culture and stand apart from culture. We have an intrinsic desire to engage with culture and an equally intrinsic desire to disengage from culture. These desires correspond to different aspects of our selves—a part that is intrinsically social and cultural and a part that, as Winnicott conceptualized it, wants to be free from influence by external reality. Because of the double-edged, ambivalent nature of our relationship with culture, we are continually challenged to find ways to live with dual--at times dueling— longings. Creating a viable balance between these longings-- to be a part of culture and to be apart from culture--poses a major psychological challenge throughout life. I will demonstrate, through clinical and biographical vignettes, that the ability to quarrel with culture and to value discontent--and to make use of adaptive apartness--play an essential role in everyday experience, psychological development, motivation, and emotional suffering, and that understanding this dimension has important implications for how we think about our patients and practice psychoanalytic therapy. Don Greif, Ph.D. is a psychologist and psychoanalyst with a private psychotherapy and forensic practice in NYC. He is a faculty member and supervisor at the William Alanson White Institute and Emeritus Editor of Contemporary Psychoanalysis. 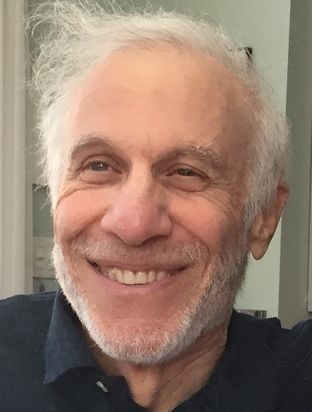 He has written articles on “The Revitalization of Psychoanalysis: Antidote to ‘Instant Culture’”; “The Challenge of Viewing Sexual Offenders as Both Perpetrators and Victims”; “Revaluing Sports"; ” Mastering Athletic Demons”; and “Good Enough Parenting.” Currently he is writing a counterpoint to Civilization and its Discontents. Don received his B.A. in philosophy at Yale College and his Ph. D. from Yeshiva University. 1. Name the central psychological challenge humans face in relation to culture: to be a part of it and to be apart from it. 2. Identify expressions of discontent, quarreling with culture, standing apart from culture, fulfillment of culture, and being a part of culture. 3. Define what “adaptive apartness” is and how psychoanalysts facilitate it in the clinical setting. This program, when attended in its entirety, is offered for 3 CE credits. SEFAPP is an approved continuing education provider by the Agency for Health Care Administration of the Florida Board of Clinical Social Work, Marriage and Family Therapy and Mental Health Counseling (BAP #587, expires March 31, 2019). Division 39 is approved by the American Psychological Association to sponsor continuing education for psychologists. Division 39 maintains responsibility for this program and its content. Division 39 is committed to accessibility and non-discrimination in its continuing education activities. SEFAPP and Division 39 are committed to conducting all activities in conformity with the American Psychological Association's Ethical Principles for Psychologists. Participants are asked to be aware of the need for privacy and confidentiality throughout the program. If participants have special needs, we will attempt to accommodate them. Please address questions, concerns and any complaints to SEFAPP Administrator at (954) 597-0820.